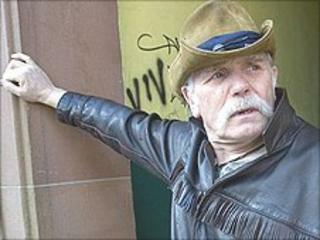 Veteran blues singer Tam White has died at the age of 68, after collapsing following a gym session. The Edinburgh singer, who acted alongside Mel Gibson in Braveheart, died on Monday. A fixture at the Edinburgh Jazz and Blues Festival, he also supported a string of stars including BB King, Al Green and Van Morrison. He lived in The Grassmarket until he was 13 before moving with his family to Saughtonhall and became a stonemason. Mr White formed The Boston Dexters in Edinburgh in 1964 and, following a record deal with Columbia Records, he moved to London. He went solo after the band split three years later.